As the founder and sole proprietor of Bookkeeping & Beyond, LLC, Sandra O. Medrano upholds the highest standards of bookkeeping. She draws on extensive training and more than 37 years of experience, which have taught her to anticipate and address all the issues that arise when organizing financial records and essential documents. She is committed to addressing these issues as comprehensively as possible, providing her clients with a strong foundation for future success. Before founding Bookkeeping & Beyond, Sandra spent more than 20 years working in management for various private businesses. In particular, she served as the Controller for Morris Architects for five years. She later took a similar position at MECX, an environmental remediation firm that operates in the Houston area. She held this position from 2002 until 2013, working directly with the company’s CFO to create a solid foundation for the company during its critical early years. Her experience working in such disparate fields has prepared her to serve a wide variety of clients, providing the same high standard of service to each. Over the years, Sandra discovered a passion for organization. She found she loved to put things in order and maximize efficiency, and that there was no better opportunity to do this than by managing a companies’ financial records through bookkeeping. By organizing debits and credits, she could make sure everything was in its proper place and improve companies’ and individuals’ financial prospects. Inspired by this passion and bolstered by everything she learned as a Controller, Sandra went into business on her own. She founded Bookkeeping & Beyond in 2013, with the goal of helping both individuals and businesses in the Houston area put their accounts in order. 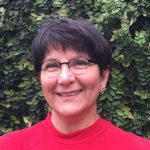 In addition to bookkeeping, Sandra offers business management support and QuickBooks services to her clients.